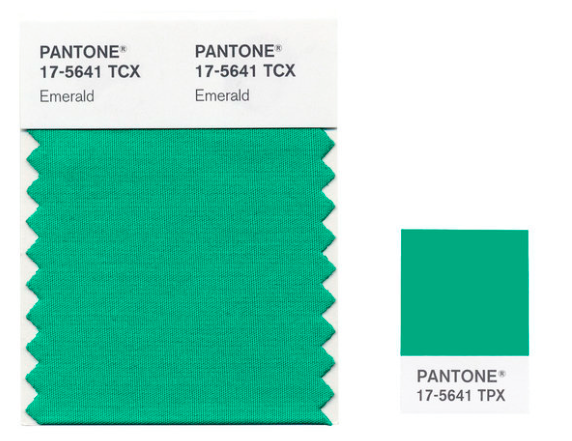 Pantone’s color of 2013 is Emerald Green. 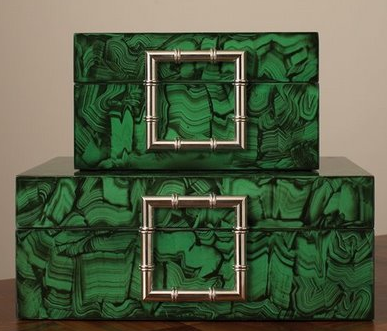 Here are some of my favorite items I am excited to incorporate into my designs this year. As the old saying goes…. In the New Year, let’s turn over a new “green” leaf. 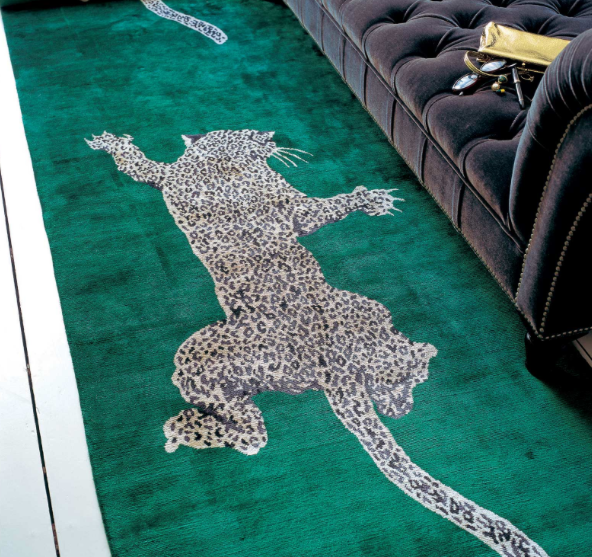 The Rug Company’s custom design by Diane Von Furstenberg, Climbing Leopard. 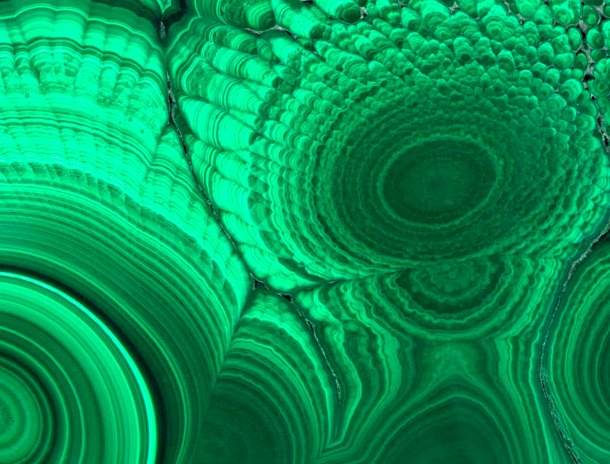 Malachite accessories from Global Views. 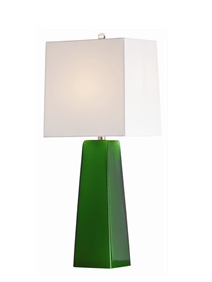 Roma Emerald Cased Glass Lamp by Arteriors. 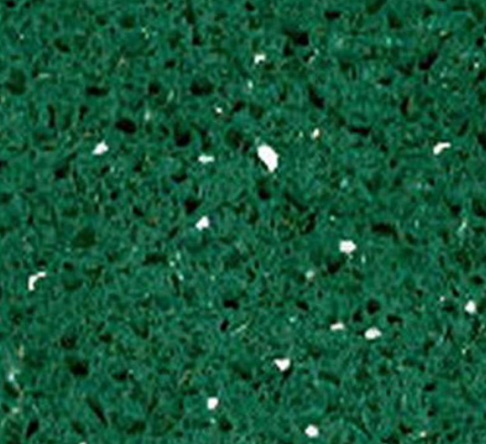 Emerald Sparkly Quartz for counter tops. 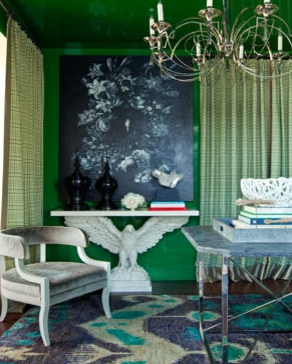 High Lacquered walls such as Thom Filicia’s Kips Bay Decorator Show House. 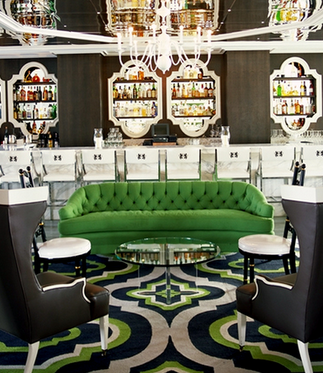 Green, Black and White Color Scheme such as the Hollywood Regency Hotel Lobby designed by Kelly Wearstler.